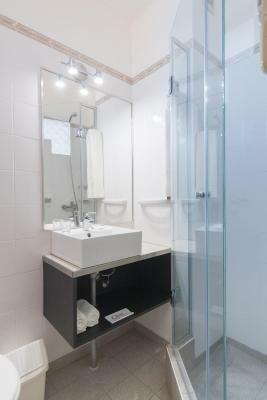 The hotel was centrally located, the rooms were clean and pretty well cared for. 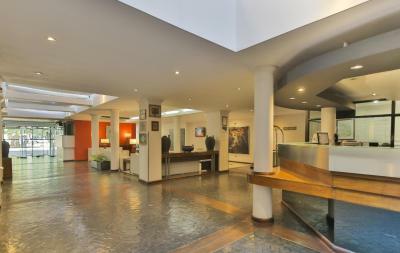 The lobby was attractive and the staff was pleasant. The breakfast was excellent. The location was so nice and quiet during the night. La construcción buen nivel. Limpieza y amabilidad de los empleados. Excelente ubicación. Muy bueno el restaurante. 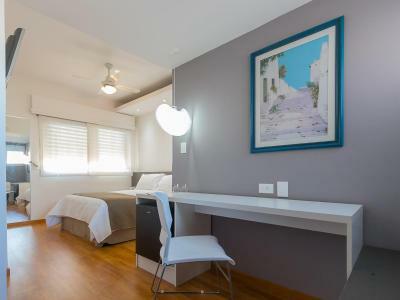 La habitación bastante bien y cómoda. En mi caso daba a la calle y podría tener mejor carpintería para insonorizar mejor. La atención. 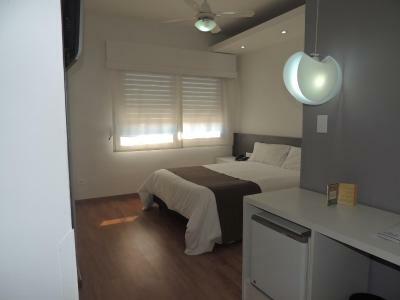 La habitación superior. El restaurante. La ubicación. Para quem precisa ficar próximo ao centro é uma opção a considerar. O staff é muito atencioso. A comida do restaurante é excelente. La galeria de cuadros y los lugares de desayuno y cena. 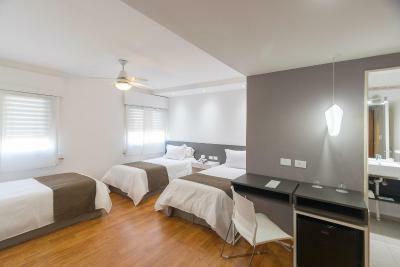 La ubicación del hotel es excelente, la habitación muy amplia, camas super grandes y confortables. La habiitació n fue perfectamente funcional a mis necesidades para 2 noches. 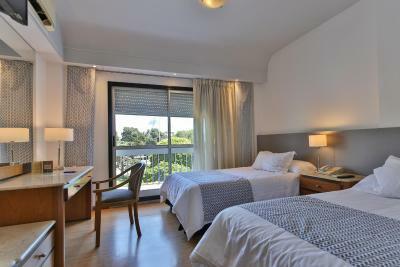 Gran Hotel Parana This rating is a reflection of how the property compares to the industry standard when it comes to price, facilities and services available. It's based on a self-evaluation by the property. Use this rating to help choose your stay! 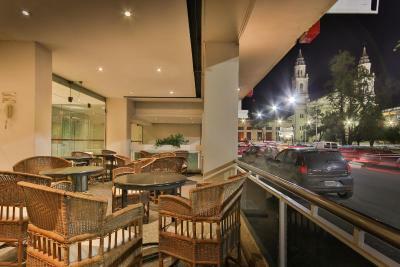 Located in the heart of Parana, the Gran Hotel overlooks 1 de Mayo Square. 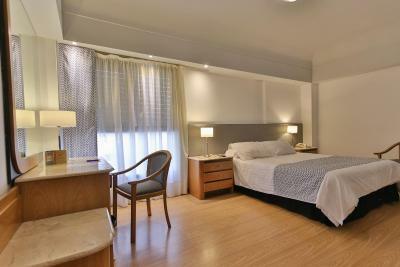 Features include a spa and pilates studio and guests can enjoy fresh fish at the hotel´s Mediterranean restaurant. The modern, air-conditioned rooms at the Gran Hotel Parana feature a separate work desk and mini-bar. 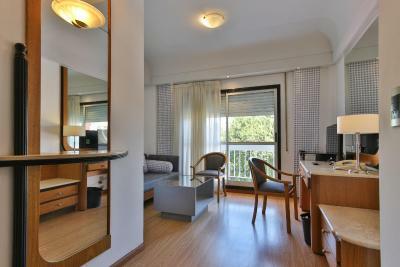 Some rooms offer a private balcony and separate lounge area with a sofa. A breakfast buffet serving a variety of local specialties is available daily. 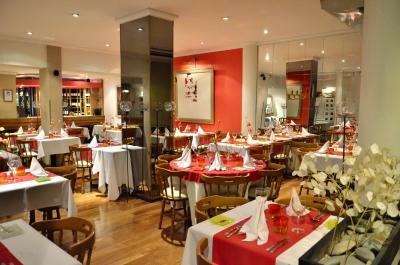 The Gran Hotel´s a la carte restaurant: La Fourchette, serves regional and seafood dishes. 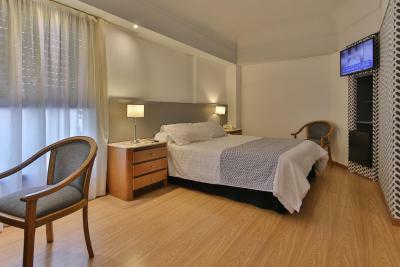 Guests can enjoy a full body massage at the spa or make use of the Gran Hotel´s gym. Free Wi-Fi is available. 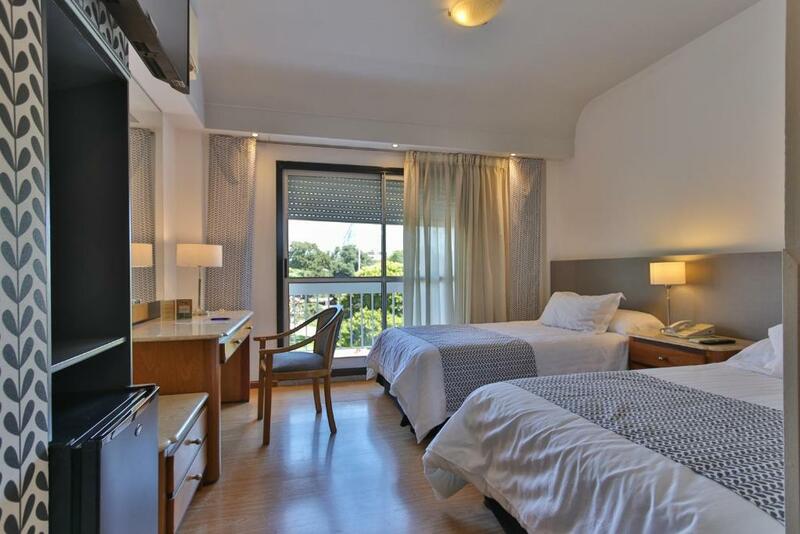 Just 100 feet from best restaurants, bars and stores, the Gran Hotel Parana is conveniently located only 5.6 mi from the General Justo José de Urquiza Airport. 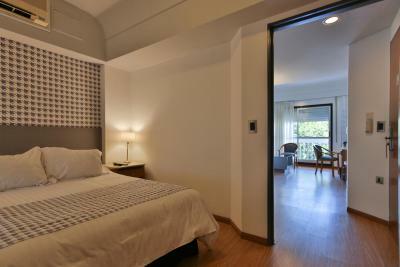 This is our guests' favorite part of Paraná, according to independent reviews. 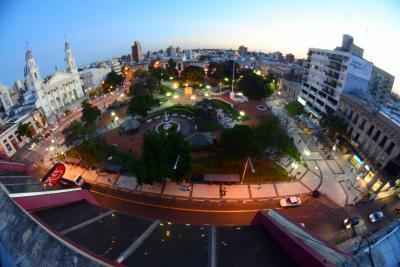 When would you like to stay at Gran Hotel Parana? Features a balcony and a flat screen TV. 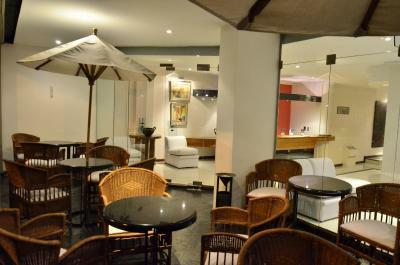 Private parking is available on site (reservation is not possible) and costs USD 6 per day. 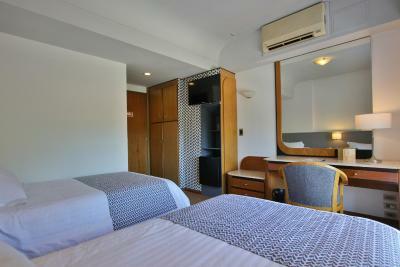 Features air conditioning, flat-screen TV, work desk and stylish decor. 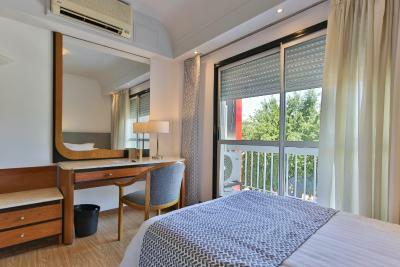 Features a mini-bar, air conditioning, flat-screen TV, work desk and stylish decor. 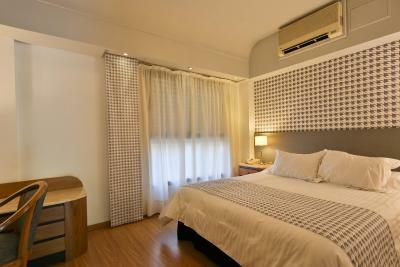 Features large double beds, mini-bar, air conditioning, flat-screen TV, work desk and stylish decor. 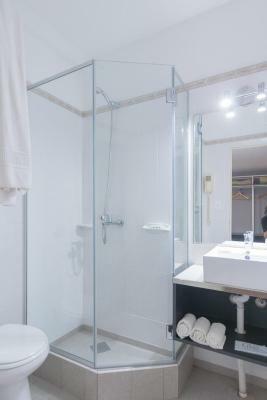 This room is composed of two double interconnected rooms, each with its own bathroom. 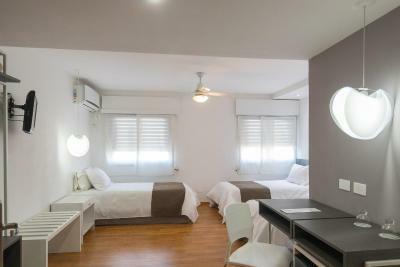 It has one double bed and two single beds. 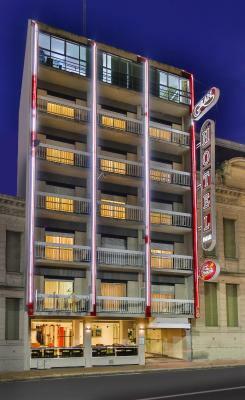 It features a mini-bar, air conditioning, flat-screen TV and a work desk. 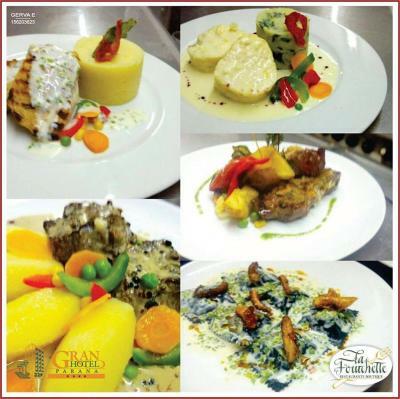 House Rules Gran Hotel Parana takes special requests – add in the next step! 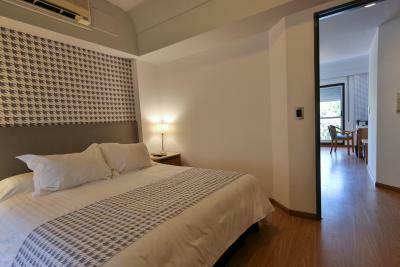 Gran Hotel Parana accepts these cards and reserves the right to temporarily hold an amount prior to arrival. 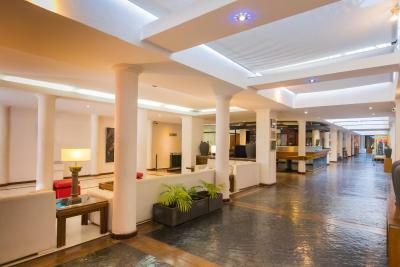 Please inform Gran Hotel Parana of your expected arrival time in advance. You can use the Special Requests box when booking, or contact the property directly using the contact details in your confirmation. We stayed in two rooms over the vacation. 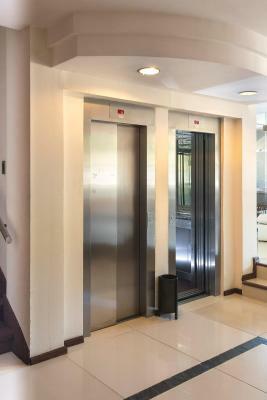 One room backed up on the elevator which we could clearly hear every time it was used. The second time we stayed we were in a room with a school on the opposite side of the alley. It was noisy every morning at around 7:30. Noisy. The property is next to a school so the noise started daily at 7:30 Also don't accept an 03 room on any floor as it backs up to a very noisy elevator. Wifi reception was often poor; in fact, we had to change our room to stay connected. Typically, this is not so much of a problem, but I was in Parana on a business trip, and I needed the wifi access.